In our lifetime, many of us will undergo some form of anesthesia in surgery. Whether a local anesthetic for oral surgery or general anesthesia that puts you to sleep, the concept is the same: to reduce or prevent pain and to allow doctors to better do their work. Though it is a common procedure associated with almost every surgery, anesthesia is by no means risk free. An anesthesiologist is trained in giving safe and effective drugs to patients. Yet if that anesthesiologist does not administer the drugs correctly, the result can be devastating and even lead to death. If this occurs, the anesthesiologist and medical staff could be accountable for their negligence in the errant administration of these drugs. Respiratory events accounted for 36 percent of all incidences. Cardiovascular events accounted for 31 percent of all incidences. Medication-related events accounted for 9 percent of all incidences. Equipment-related events accounted for 9 percent of all incidences. The Bradley University study found that the best way of preventing anesthesiology errors was through direct observation by another physician during surgery or other medical personnel. Computer-based monitoring often aids in detection and is not as costly as direct supervision, but it cannot detect error not associated with a computer. According to another study completed by the National Center for Biotechnology Information (NCRI), which is a branch of the National Institutes of Health, a large majority of anesthesiology mishaps are caused by human error. The study, which included interviews with 139 anesthesiologists, residents, and nurse-anesthetists from four hospitals, found that only 4 percent of anesthesiology errors involved equipment failure. The NCBI recommended specific strategies for avoiding errors, including additional technical training, improved supervision, improved organization, and use of additional monitoring equipment. The study also found that less healthy patients are more likely to be negatively affected by anesthesiology errors. 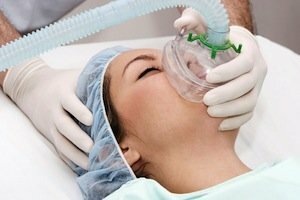 Chicago attorney Robert Kreisman is experienced in handling anesthesiology negligence cases in Chicago, Cook County and surrounding areas in Illinois. In addition to his hands-on experience with jury cases, Robert Kreisman stays on top of the latest medical and legal trends in Chicago and across the United States. Not only has Mr. Kreisman served as a faculty member for local and national law seminars, but he also has the resources necessary to best represent his clients. If you or a loved one has suffered due to the negligent application of drugs by an anesthesiologist, you may have a medical malpractice claim to bring. Kreisman Law Offices have more than 40 years of trial experience, trying jury cases in anesthesiology cases and medical malpractice. Please call us 24 hours a day at 312.346.0045 or toll free 800.583.8002 for a free and immediate consultation, or complete a contact form online.